AIADMK stands for All India Anna Dravida Munnetra Kazhagam. 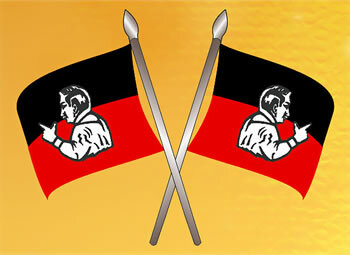 It is a political party belonging to the southern Indian state of Tamil Nadu. The All India Anna Dravida Munnetra Kazhagam, or more popularly AIADMK, is one of the two main political parties from the southern Indian state of Tamil Nadu, with DMK, or Dravida Munnetra Kazhagam being the other. Both these parties have successively influenced the legislative assembly of Tamil Nadu, and also the political fabric of India as a whole. The AIADMK was founded in 1972 by famous Tamil actor turned politician, M.G. Ramachandran. Ramachandran was a good friend and a close associate of M. Karunanidhi, who was the then Chief Minister of Tamil Nadu and also the leader of DMK. As a consequence of some serious friction between these two friends, Ramachandran founded a new political party that was a breakaway faction of the DMK, and named it ADMK, i.e., Anna Dravida Munnetra Kazhagam. The party workers later put the prefix ‘All India’ to its name and gave it the new name of AIADMK. Being solely responsible for running his newly founded party, Ramachandran took all the party duties and responsibilities upon himself. Also, what hugely worked in his favor was his cult status as a larger than life superstar of the Tamil movie industry. Many people readily thronged the party avenues to volunteer in the functioning of the party. Ramachandran enjoyed enormous support from his well known movie industry peers, and his relatively new political fraternity as well. Owing to his ‘savior of the poor’ and ‘the good guy’ image on screen, Ramachandran managed to lead his party to its first ever electoral victory in the year 1977. His favorable screen image clearly translated well into the political scenario of the state, as he was soon sworn in as the 7th Chief Minister of the state on 30 June 1977. As Chief Minister, Ramachandran’s work was much appreciated by the citizenry, the neutrals and his critics as well, who opined that his political pedigree simply didn’t weigh up to his acting talents. Ramachandran went on to perform an encore along with his party in the state assembly elections of 1980, as the party returned to power and MGR himself became Chief Minister again. He continued to be the Chief Minister of the state till 1987, until his demise on 24th December that year. What was heartening to see was that in spite of his dwindling health, the MGR magic never failed at the polls. In fact, AIADMK managed to win the 1984 state elections devoid of Ramachandran, who was battling ill health at the time. Following Ramachandran’s death, the AIADMK was split into two factions. One was headed by MGR’s widow Janaki, while the other by his also actor turned politician friend and close associate J Jayalalithaa. The year 1988 saw the President’s rule imposed in the state of Tamil Nadu. This state of emergency continued until the assembly elections of 1989, in which DMK trounced the faction-hit AIADMK. However, for mutual benefit and overall profit of the party, both the female leaders decided to merge their factions into one. The assembly elections of 1991 saw an invigorated AIADMK sweep the majority of votes and return to power handsomely under the influence of their new leader Jayalalithaa, who hailed Ramachandran as her political mentor, and vowed to follow earnestly in his footsteps. Surely enough, Jayalalithaa inspired her party to greater achievements in the new decade. As Chief Minister herself, Jayalalithaa managed to bring in a wave of optimism, with popular decisions such as banning of lottery tickets, restricting the liquor and sand quarrying business to government agencies, banning tobacco product sales near schools and colleges, etc. She also encouraged women to join the state police force by setting up all women-police stations and commissioning 150 women into the elite level police commandos in 2003, a first in India. All this and many more positive changes endeared Jayalalithaa and AIADMK to the people of Tamil Nadu. In her reign as the AIADMK Party President, Jayalalithaa has managed to achieve a troika of state assembly wins in the years 1991, 2001, and 2011. Of late, the party has also accomplished its much desired ambition of expanding its operations in other states. The party has its offices in cities like Delhi, Mumbai, and the Tamil speaking districts of Bengaluru and Kolar. Besides these places, the AIADMK has successfully established its agencies in parts of Andhra Pradesh and Kerala as well. AIADMK has so far managed to cling on to the philosophies of its founder M.G. Ramachandran, but what remains to be seen is the party’s course of action when this regular stance renders itself as obsolete to a situation.